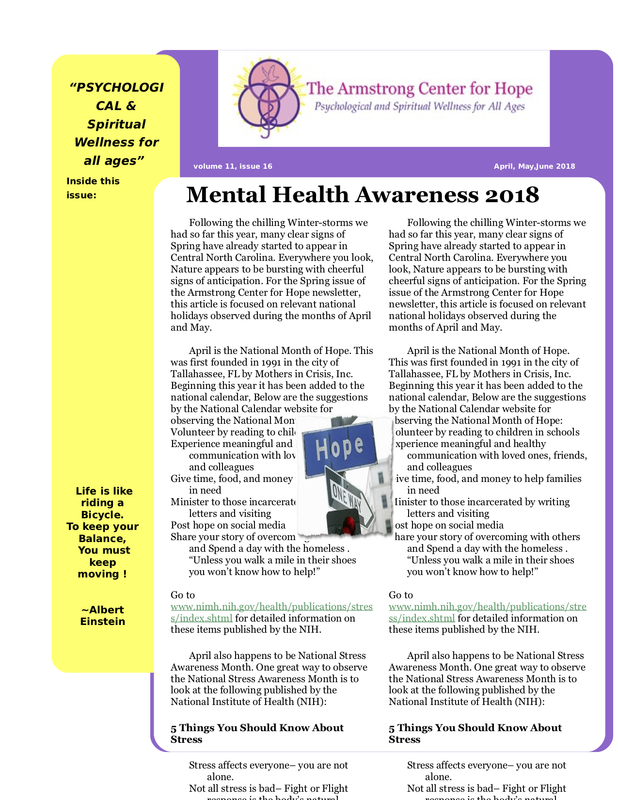 Stay connected with the Armstrong Center for Hope with our quarterly newsletters! Check back to get our latest newsletter. You’ll find all our new findings, class offerings, and updates of ACFH.